An Olympic Challenge – Prizes for All Children Please! If we learned anything from the Olympics, it was to see the how achievement against the odds can move and inspire others. The excellent opening ceremony, designed by Danny Boyle acknowledged how the achievement and development of a society is achieved not just by one powerful individual, but by every member of that society, by workers, by scientists, by trade unionists and how that society values every member. 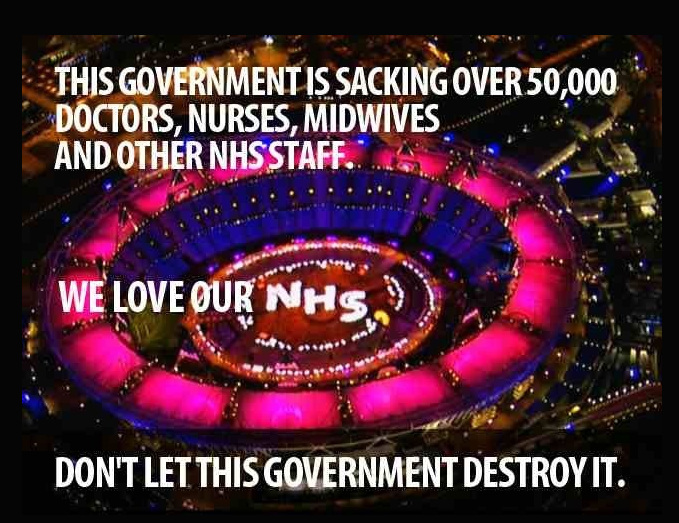 We saw how the revered NHS cares for the health for all, not a privileged few. The Olympics showed us how working together in teams can achieve more than any individual might aspire to, and how support and encouragement can make so much difference, by the mutual supporting of each other for the common good. This is the spirit of community. The strength of that spirit is in the process of co-operation, and of sharing not in trampling on the weak and vulnerable. Cameron’s off–the-cuff-cutting-comments suggest otherwise, as it seems success of a few depends upon failure of others. Indeed, he criticised those who believe that “all must win prizes. “ Why not, Mr Cameron? We need not just prizes for all , but opportunities for all too, and not just in sports. Any human heart cannot fail to be moved by Chris Hoy’s tears and sense of achievement, by the determination of Jessica Ennis, in the heptathlon to do her best at events which she may not have been the best. Gold medal efforts which one could only admire. And what of the admiration for fifteen year old swimmer from Lithuania, Ruta Meilutyte , who surprised herself and endeared herself to the crowd? Witnessing the achievements of individuals, regardless of nations and whether medalled or not, was inspiring for everyone. In truth, the essence of the Olympic movement is widening, not narrowing of our frontiers, and for a moment we could escape from the reality and believe for a moment that the world could “live as one”, and those words of John Lennon’s Imagine echoed in our thoughts after a closing ceremony. This did seem somewhat premature, coming before everyone had had their chance, so sidelining the Paralympics as if it is not the real thing and somehow is the result of less effort. Every child, every citizen deserves a Chris Hoy moment, a sense of achievement in the success in something they have strived for. This is what we should be aiming for in our education system – for all children to discover that marvellous sense achievement in whatever they do, and the thrill of a boost to self worth that they deserve. This is where our education system is failing. GCSE examination results to be published this week involve changes to the GCSE results are to be made, so that grades will now be awarded not rewarding and acknowledging what is achieved, but, like Cameron’s Olympic comments, will ensure there are no prizes for all. The Grade system will be restructured so that a certain percentage of candidates will achieve each grade, and ensure failures. The grades will neither represent intellect, skill, or effort, but will, like many of those who represented Team GB in the Olympic Games, be weighted for the elite. What would a sociably just education system look like? CLASS Centre for Labour and Social Studies report on the excellent system in Finland, which ironically, the Coalition mention in the education White Paper, while missing the point that Finland does not have the elitist system which hampers achievement for so many in the UK. I am reminded of the Ronnie Barker sketch, “I know my place.” It’s no joke. There is no doubt that the greatest deciding factor of the route that any individual takes in life depends on class and privilege, and the policies of this coalition government accentuates this division. While we have a public school system, where the privileged few are half way round the first lap before the majority have reached the starting blocks, we will never have a fair society, where opportunities for achieving our potential are a reality. Many are still unaware of the demotion of our state education system by the coalition government which will result in a gulf in education and life’s prospects which will be impossible to overcome. Such is the plan for the elite to maintain their control. But it’s time for change, let us waste no more time, time for us to make it happen and time to stop those powerful kicking those on the bottom rung. (See Owen Jones article). Now that really would be an achievement to be proud of. CLASS: What would a Socially Just Education System Look like?